Joseph Pararajasingham who served as Batticaloa district MP for fifteen years was killed eight years ago on Christmas day.Had the Batticaloa parliamentarian been among the living ,he would have turned eighty in November 2014. Despite his many years of service to the people of the East and being described at one time as the ‘uncrowned king of Batticaloa’’ Joseph seems to be a forgotten person now. This commemorative article is to rekindle memories of a man with whom I interacted greatly at a personal and professional level for several decades. Joseph Pararajasingham was of Jaffna origin and born in Manipay on November 26th 1934. The family moved to Batticaloa when Joseph was three years old. Joseph therefore grew up in Batticaloa and lived there as a “Mannin Mainthan of Mattakkalappu” (Son of the Batticaloa soil). He had his education at St. Michaels College under the benevolent guidance of many American and European missionaries. He was a lanky youth who played soccer and basketball and was also an athelete. A particular favourite of the sports crazy Fr. Weber – after whom the Batticaloa stadium is named – Joseph excelled in the high jump event and represented St. Michaels at the public schools meet. Josephs wife Sugunam nee David studying at St. Cecilias Convent was also good in sports during her schooldays. According to old friends they were attracted to each other because of this. Sugunam’s family was also of Jaffna origin with roots in Thondamanaru. Joseph worked as a technical draughtsman at the Batticaloa Kachcheri from the mid fifties. He retired under official languages Act provisions in the early seventies and became a freelance journalist. Joseph cut his teeth in journalism on the “Suthanthiran”owned by SJV Chelvanayagam and edited by ST Sivanayagam of Batticaloa. Later Sivanayagam fell out with Chelvanayagam and went on to edit the “Dinapathy” and “Chinthamani” published by the Dawasa group of newspapers. Joseph became the Batticaloa correspondent for both papers. Though Joseph was offered a staff reporter post at the editorial department in Colombo he declined it as he wanted to live in Batticaloa his homeland. Since he was a Government servant then, the news stories and articles from Batticaloa in Tamil appeared under his wife’s name. The byline was Sugunam Joseph. Since Joseph was proficient in English, he also became “Sun” and “Weekend” correspondent. After he retired from Govt service he wrote under his own name as P. Joseph. It was as P. Joseph that he was known for most of his life. It was only after he entered full – time politics that he gave emphasis to the Tamil name Pararajasingham in preference to the Biblical Joseph. He is still referred to by old friends as “Joe”. Joseph was transferred out from Batticaloa Kachcheri to Nuwara Eliya after the elections of 1970.Instead of going to Nuwara – Eliya Joseph opted to retire from government service. He then tried his hand at many businesses ranging from mineral water manufacture to wholesale paper sales.Joseph became partner and also worked as manager for many years of the “Rajeswara” theatre in Batticaloa. In later years Joseph went on to buy the “Imperial” movie theatre and rename it “Subaraj” after his son who died in the eighties.. Incidently Joseph was an avid filmgoer and was interested in talking about films. He loved being a theatre manager often discussing films with movie fans. He also started the “Subaraj” tourist lodge and the “Subaraj” shopping complex later on and became a very successful entrepreneur. Joseph was an ardent Tamil nationalist from his student days. Due to his government job and journalism Joseph kept a low profile as far as active politics was concerned. He played a constructive behind the scenes role in Federal party politics in Batticaloa. He was a devout disciple of Chelvanayagam and fervently believed in non – violence as a political creed. Initially both Amirthalingam and Pararajasingham lost in 1989 due to the IPKF inspired manipulation of votes. Amir however entered Parliament on the National list. 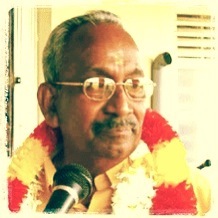 After his assassination Mavai Senathirajah was nominated to the post. Meanwhile Batticaloa MP Sam Thambimuthu and his wife Kala were gunned down by the LTTE opposite the Canadian High Commission in Colombo in 1990. With Amirthalingam being dead it was now the turn of Joseph – next on the list – to become MP . He did so. But before taking up office he clarified matters with the Eastern tiger hierarchy and obtained the green light. It was only after that that Joseph took his oaths. The Indian army had left Sri Lankan shores in March 1990. War broke out between the Government of Sri Lanka and the Liberation Tigers of Tamil Eelam in June 1990. The situation was tense and fraught with violence and danger. As ordinary Tamils the Pararajasinghams too were not immune in this situation. It was against such a dangerous backdrop that Joseph Pararajasingham became Batticaloa MP .The East was under severe strain. Violence had been directed against innocent civilians in a number of places. Movement of people was severely restricted. The safety of Pararajasingham and his wife who accompanied him almost everywhere was under threat. Despite these difficulties and the dangers involved Joseph and Sugunam were bold and dedicated enough to stay in Batticaloa and do what they could for their people. I include Sugunam along with or on par with Joe because they were indeed inseparable in their personal and political life. Joe and Sugunam were like the Tamil political couples Amirthalingam – Mangaiarkkarasi or Sam – Kala Thambimuthu. It was due to the dedicated service of the Pararajasinghams in Batticaloa that the TULF once again established itself in the district. They were indeed a beacon of hope to the beleaguered Tamils of Batticaloa then. A distinct result of their commitment and conduct was the immense gratitude of the people. This was reflected clearly in the elections of 1994 where three TULF members were returned to Parliament as MP’s from the district. Joseph himself won an unprecedented majority and was hailed as the “Mudisooda Manan” (uncrowned king) of Batticaloa. He also became the TULF Parliamentary group leader. Joseph Pararajasingham despite his physical stature was not an aggressive personality. . He was a very powerful orator in Tamil on political platforms but soft spoken and mild – mannered in every – day life. While his wife Sugunam is of a fiery temperament at times , Joseph was generally quiet and gentle. He avoided arguments of any kind. Joseph was very much like a gentleman of the old school type who does not like to offend or cause controversy. Becoming Batticaloa MP in the nineties however thrust him into an entirely new role. Joseph was compelled to take on the powers that be in his role as representative of the Tamil people. The affected Tamil people turned to Joseph the new MP with their problems and grievances. In the old days the problems were about jobs, transfers, etc. Now with a war going on ,it was existential issues. Disappearances, arrests, torture, assaults, killings, shelling, bombing, firing, detentions etc were the problems. Joseph telephoned military .STF and Police officials;he wrote letters and faxed them to the President, defence secretary defence service chiefs and ministers; he visited places where state terror had been unleashed and spoke reassuringly to victims and next of kin; he ensured that medical treatment was afforded to injured people. Being generally an amiable person with good inter – personal skills Joseph maintained cordial relations with the serving Police and defence service officials of the district. Sugunam who functioned as his secretary would get the people on the telephone and Joseph would speak to them.. At times he would go personally to meet them. The late General Lucky Algama was very hostile to Joseph initially. After some interaction they became quite friendly to each other. This does not mean that Joseph was able to remedy the grievances of the people at all times. That could not be so given the fact that a war was going on. But where Joseph succeeded more was in providing solace and limited succour to affected people. He provided a ray of hope for the beleaguered ordinary people of Batticaloa. They felt that there was one man at least to whom they could turn to in their troubles. He and Sugunam listened intently and patiently. Sugunam would provide refreshments and at times meals to the poor people who had travelled from far. She had good rapport with the womenfolk. CA Chandraprema in an interesting series of articles in “The Island” on the state of the UNP wrote of the “Manushakama” provided by Vijaya and Chandrika Kumaratunga to aggrieved people during the dark days of the JR Jayewardene regime. They lent a sympathetic ear and a shoulder to cry on for the people. It was this empathy and humanity that endeared them to the people at that time observes Chandraprema. Joseph and Sugunam too provided this same “Manushathanmai” or “Manithabimanam” to the afflicted people of Batticaloa who sought their help. I must emphasise here that these attributes of the Pararajasinghams were not necessitated by politics alone. It was inherent in their nature to be so.It was the cumulative result of the selfless work done by Joseph and Sugunam in the early nineties that led to Pararajasingham’s remarkable victory in 1994. With relations improving between Joseph and the LTTE the overseas branches of the tigers also began warming up to him.The Batticaloa MP was a regular speaker at LTTE and pro – LTTE meetings abroad. Also the various LTTE media organs were in regular contact with him to get his views on a number of matters regarding the North – East.interestingly while Joseph was edging closer to the LTTE many of his TULF colleagues like Thangathurai, Sarojini Yogeswaran, Pon. Sivapalan, Pon. Mathimugarajah, Neelan Tiruchelvam etc were being bumped off mercilessly by the tigers. This increased identification with the LTTE may have helped reduce his fears and insecurity in relations with the tigers. It may also have increased his popularity with pro – tiger expatriates and media. But it had its flop side too. His persistent refusal to say anything negative about the LTTE publicly and his glossing over the human rights violations of the tigers reduced his credibility as an independent politician and human rights champion. This increasing identification with the LTTE reached its zenith when the TULF as part of the TNA became the virtual political front of the tigers. This helped them win seats in Parliament but eroded their credibility in the eyes of the international community. They were seen as terrorist accomplices by some foreign governments. One such example was Canada. There was a time when Pararajasingham met with the foreign ministers of Canada like Lloyd Axworthy and Bill Graham in Ottawa on a one to one basis. Yet the same man was denied a visa to Canada like many other TNA parliamentarians later on due to their perceived LTTE connections. Whatever Joseph’s support level among Tamil expatriates his support base in Batticaloa began diminishing too.If the 1994 result was the high watermark in Joseph’s political life, subsequent elections saw his popularity declining. In 2000 Oct the TULF got only two seats in Batticaloa. It was not Joseph but Nimalan Soundaranayagam his wife’s cousin who got more preferential votes. Joseph came second with a narrow lead over Selvarajah. In 2001 Dec the TULF contested as part of the TNA.Three Tamils were elected.The first was Thangavadivel the TELO candidate. The second was Krishnapillai of Tamil Congress. Joseph came a poor third. Interestingly Joseph had “lost ” to Selvarajah at first count. A disappointed Joseph left the Kacheri with his supporters. It was the recount which saw him elected with a razor thin majority. In 2004 the elections were held a month after the Karuna rebellion. The TNA swept the polls in Batticaloa in an LTTE rigged election. This was so in the North too. In the east polls were rigged in favour of candidates in the good books of Karuna.Joseph however had an unpleasant surprise. Being opposed to Karuna and the eastern revolt, Joseph had lost. Though Joseph lost the Parliamentary hustings after 14 years of being Batticaloa MP he re-entered Parliament as a national list MP. Why did the man described once as the “uncrowned king of Batticaloa” lose miserably? Karuna’s men rigging the poll is one answer but there is no denying that his voter base had been steadily decreasing over the past years.Two reasons could be adduced. One was his total subservience to the LTTE. The TULF was preferred by the people as “moderate independents ” and not as total slaves to the LTTE. Joseph in the East and Senathirajah in the North are seen as the two who began selling out the party to the tigers. In the aftermath of the eastern revolt engineered by ‘Col’Karuna of the LTTE the rise of regional feelings worked against Joseph in particular as he was seen as a stooge of the mainstream tigers led by the Northerners. The second was due to his image being tarnished through charges of corruption and nepotism. Some of these charges were levelled against him even after his death by his detractors. All these however do not take way the fact that the man did not deserve to be murdered in in a church while participating at a Christmas mass.The assassins had entered through one of the side entrances to the Cathedral at the front. This was when the Pararajasinghams with some others were kneeling at the altar for bread and wine.The choir had full view of the assassins but did not suspect anything. Even as Joseph got up the assassins moved closer to the altar and the Bishop. Sugunam got up a few seconds later. Joseph who had started returning to his pew paused and turned halfway to allow Sugunam to precede him. It was at this point that the assassins started firing. The Congregation, Choir and Clergy including Bishop Swampillai dived to the floor in panic. Joseph fell down. The time was 1.10 am.It is believed he was killed instantly. Sugunam and seven others were injured in the firing. The assassins then walked down the aisle firing away in the air. Pararajasingham had five Police bodyguards with him at the time of the incident. They were standing outside the Church with one of them popping in every five minutes to check whether the MP was safe. None of the bodyguards fired back at the assassins. Their explanation was that it may have hit the people. But then they did not fire even after the assassins went outside the church. Thus ended the life of Joseph Pararajasingham. Whatever his politics Joseph Pararajasingham did not deserve to die or be killed in such horrible manner. His death has proved to be a great loss to the people of Batticaloa.